Nairn Golf Breaks. Nairn Golf Club - This traditional Scottish golf links course was created from a wilderness of whins and heather and tests the talents of professional and amateur alike. Founded in 1887 and added to and extended by Archie Simpson, Old Tom Morris and James Braid, it is now one of the best courses in Scotland. It is regularly chosen for national championships, including the Scottish Amateur, Scottish Professional and in 1994 hosted the "Blue Riband" of the Amateur Calender, the "Amateur" Championship. Nairn has also successfully hosted the 37th Walker Cup in September 1999. The magnificent new clubhouse that was built in 1990 is the envy of many and adds to the pleasure of playing at Nairn. 18 holes. Par 72. 6,705 yds. Links. Nairn Golf Breaks. 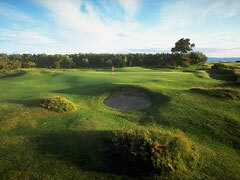 Swallow Golf View Hotel, The Seafront, 63 Seabank Road, Nairn IV12 4HD, Scotland. Gabled Country Hotel in private park extending to the sea, 2 miles from train station. Find the best deal, compare prices and read what other travelers have to say at TripAdvisor. Swallow Newton Hotel, Inverness Road, formerly Best Western Newton Hotel, Nairn IV12 4RX, Scotland. Small Hotel converted from a Baronial Country Mansion dating from 1872. Find the best deal, compare prices and read what other travelers have to say at TripAdvisor. Boath House Hotel, On A96, Auldearn, Nairn IV12 5TE, Scotland. Find the best deal, compare prices and read what other travelers have to say at TripAdvisor. Sunny Brae Hotel, Marine Road, Nairn IV12 4EA, Scotland. Find the best deal, compare prices and read what other travelers have to say at TripAdvisor. Greenlawns Private Hotel, 13 Seafield St, Nairn, Scotland. Find the best deal, compare prices and read what other travelers have to say at TripAdvisor. Clifton House Hotel, Viewfield Street, Nairn IV12 LHW, Scotland. Atmospheric Victorian House dating from 1874, situated right on the seafront, 1 mile from Nairn train station. Find the best deal, compare prices and read what other travelers have to say at TripAdvisor. The Albert Inn, Albert Street, Nairn IV12 4HP, Scotland. Find the best deal, compare prices and read what other travelers have to say at TripAdvisor. Windsor Hotel, Albert Street, Nairn IV12 4HP, Scotland. Gracious Victorian set in quiet homely atmosphere. Find the best deal, compare prices and read what other travelers have to say at TripAdvisor.